When editor Susan Ryeland learns that best-selling mystery author Alan Conway committed suicide, she’s crushed - not because she particularly liked him, but because his sales carry the publishing company. Conway’s most recent manuscript, received right before his death, seems to deliver a message from the grave hinting that he was, in fact, murdered. Susan improbably channels Conway’s most famous detective character, Atticus Pund, to investigate his death and in the process discovers that there are many people who benefit now that he is gone. As Susan gets nearer to the truth, Conway’s secrets may turn out to be her undoing. 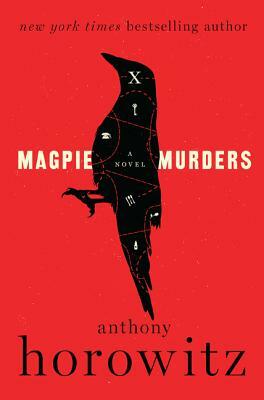 With a wink and a nod to Agatha Christie, Magpie Murders is as satisfying as any from the golden age of classic English manor house mysteries.